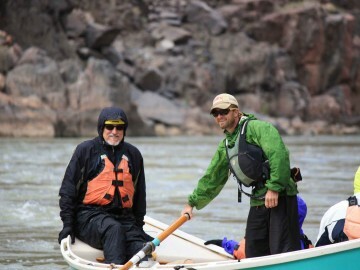 When Noah started with OARS last spring, my first introduction to his cooking skills was on a training trip. Thank goodness. (I’ve considered changing Noah’s name to protect his feelings and privacy, but I’ve told this story to so many people, often in front of Noah, that it’s clearly too late for that.) 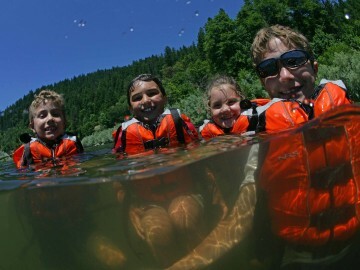 So, there we were, on a Klamath River rafting trip, preparing our first day’s lunch: deli sandwiches. Now, despite the fact it was only guides on the trip, as part of the training we prepared a full spread complete with the presentation we’d put together on trips with clients. 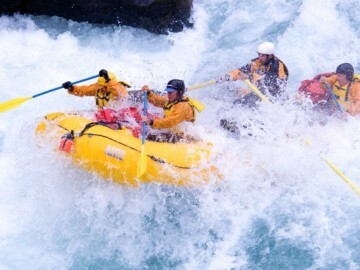 We broke into crews, making sure some experienced and some new guides were on each team. Those who were not preparing that meal stood around acting like clients. The lunch appetizers came out first: carrots and celery, PB&J, chips and hummus, and then I saw them…the sliced apples. On the platter were mangled apple chunks of all sizes, many of which still contained seeds, parts of the core, and even stem. “Who sliced the apples?” I asked. “I did, why?” asked Noah, nervously. 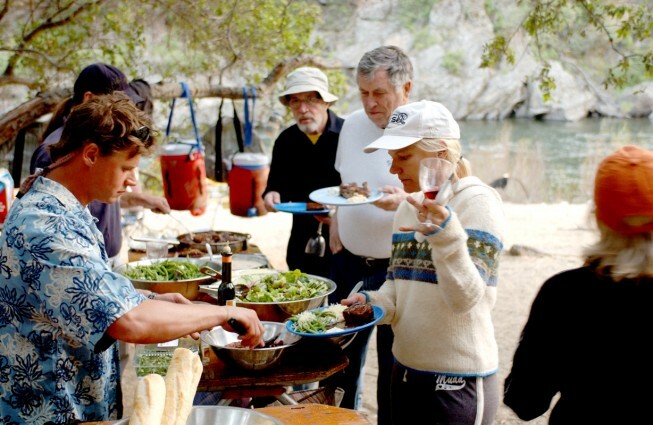 Cooking is a big part of being a river guide. And every guide starts at a different place. Noah, as it turned out, had never cooked (not even for himself since he was still a college student who lived in the dorms). But by the end of the season, he knew two different options for slicing apples “correctly,” as well has how to grill salmon and asparagus, make buttery, garlic and basil mashed potatoes, and perfectly golden brown French toast. 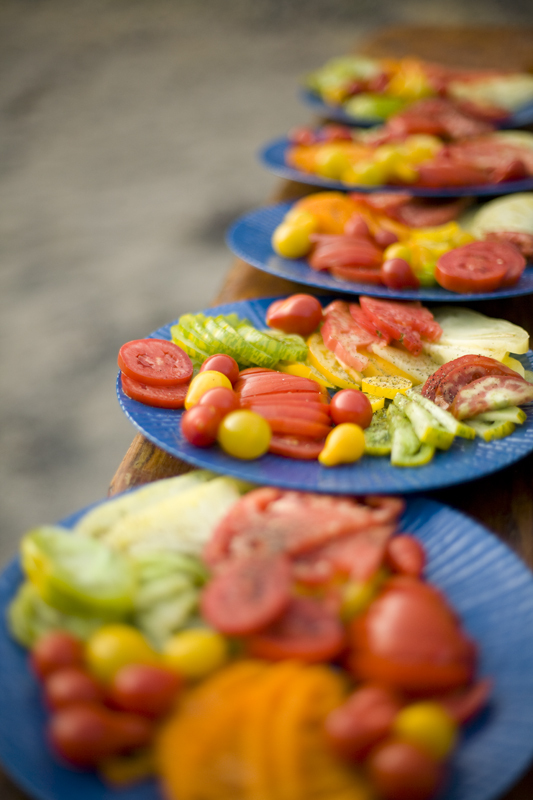 Training guides is the most important, but not the only step, to creating fabulous meals on the river. In fact, the part our clients see—guides cooking riverside and making sure timing and flavors are just right—is a comparatively brief last step considering everything else that has gone into the process. Before that comes meal planning, choosing and buying the food, packing the coolers and dry boxes and making sure all the correct cookware is on the trip. Meal planning for river trips continues to get more complicated. An average roster includes at least three, but often more dietary restrictions: vegetarian, kosher, lactose-intolerant, allergic to tree nuts, gluten free, my-son-only-eats Cinnamon Toast Crunch, and so on. The first step is sorting out what these restrictions really mean. On many a trip, the “vegetarians” have eaten all the bacon when none was actually packed for them. Who can blame them, really? Bacon-stealers aside, once we’ve decided how much and what to pack for the group we carefully select our products. The best ingredients make the best meals, but a budget must be considered. So we find cost-effective sources for local, organic, and fresh products as best we can in sometimes extremely rural locations. Clients often ask, “How do you keep so much fresh produce for the whole trip?” I usually answer simply, “24 blocks of ice,” or however many we are using for that trip. But really, packing coolers and boxes is an art. Safe-handling of temperature-sensitive items like meat; order in which we eat the food; and the Tetris-like puzzle of making it all fit are some key factors. Finally, we organize the kitchen equipment. Again, we try to fit as much as we can into compact spaces. We avoid breakables, but strive for eatery and serving pieces that will share the quality of the food we are serving. Much to many people’s surprise (due to its weight), cast iron cookware continues to be a favorite on the river. Post-trip, clients often mention how great the food was. Perhaps this is because we have taken all of these steps in the process. Or, perhaps it’s because as I often say, “Hunger is the best chef,” and nothing works up an appetite like a day on the river. 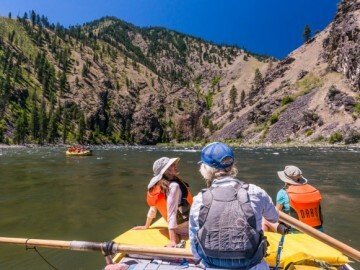 Kate Wollney has been a river guide for more than 18 years and is OARS’ Rogue River Manager.